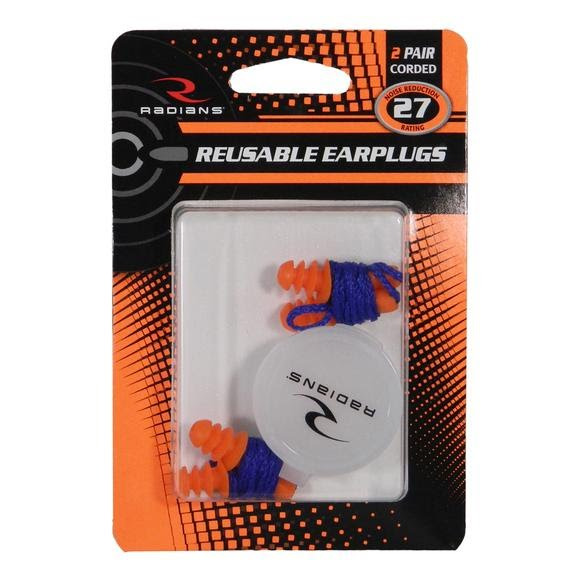 Soft and comfortable, the Radians Reusable Earplugs are washable and reusable. Patented material conforms comfortably to the ear canal. Includes a durable cord and flip top carrying case.